when you have turned off the pre-chat form. Hence you are unable to see the customer's name, email address or number in sometimes. 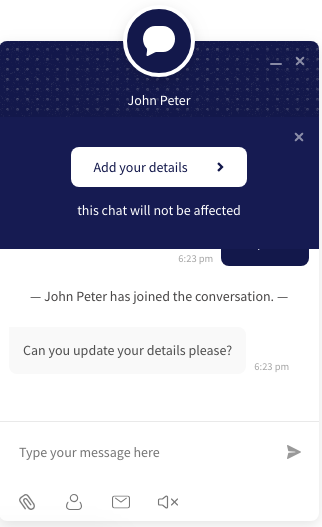 How can I get customer details during a chat? a) Request visitor details: Type thecommand !getVisitorDetails in the chat text area and hit enter or choose from the commands list. 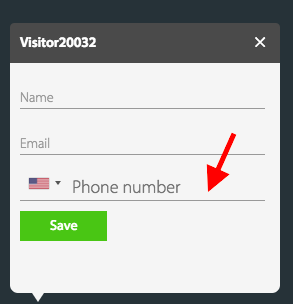 On the visitor's side Add your details button will be displayed as shown below. 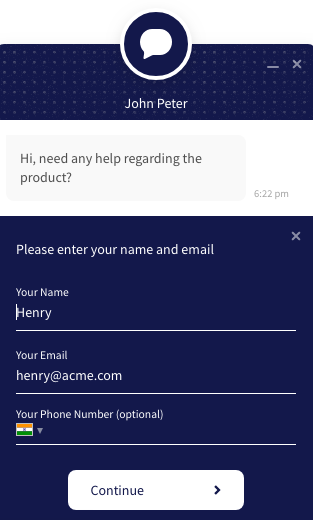 b) Add Visitor details: If customers provide their details on chat, you can add it to the chat by clicking on the "edit" icon. After clicking on it, agent will be prompted to enter the visitor details. 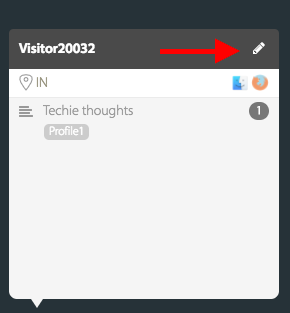 Once done, click "Save" button will update the visitor details on the chat. 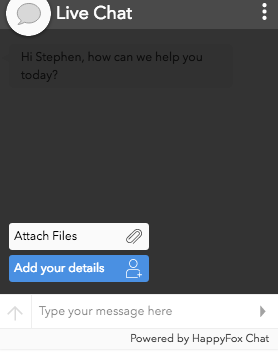 c) Option for visitors: Your visitors can enter their details to the chat widget anytime during the chat by clicking the upward arrow and select "Add your details". As soon as the details are entered, it will get updated instantly visitor widget and agent window.